Stock photography is a valuable asset to just about any business. As a result, the industry has exploded over the past few years. The demand for unique, high-quality content is nearly unquenchable, which has allowed a number of stock photo companies to thrive alongside each other. Which begs the question – which company has the most to offer? As it turns out, there’s no straightforward answer. It all depends on what your content needs are and where your budget is. So, today, we’re going to take a look at some of the most popular stock sites and examine what each one has to offer from a consumer’s perspective. The majority of stock photography comes at a price. However, that’s just about where the similarities end. Every service has something slightly different to offer, even if it may not be immediately evident at a quick glance. Here are our findings concerning some of the most popular providers. Adobe has dived headfirst into the digital imaging industry, so it makes sense that they’d try their hand at stock photography. Some time ago, Adobe Stock absorbed Fotolia, a prominent stock image source. Therefore, Adobe started out with a large, developed catalog for customers to choose between. And, with the prestigious Adobe backing behind the site, there’s a steady stream of high-quality material being added to the site. For those reasons, Adobe Stock is a solid, dependable choice for businesses that won’t be going anywhere anytime soon. There are a few payment options available to potential customers. Firstly, there are à la carte credits that may be purchased individually. Each credit is worth about $9.99 USD a piece, and photographs run anywhere between each 5 to 50 credits. 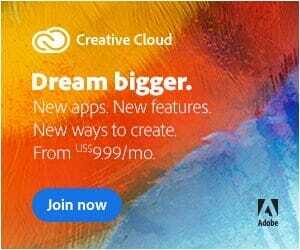 For those looking to save some money or use Adobe’s services on a regular basis, Adobe also offers monthly and annual subscriptions. As the numbers show, subscriptions allow customers to save a significant chunk of change. However, there is one catch that buyers should be aware of. Not all of Adobe’s content is made available with a subscription. In such cases, users will have no choice but to purchase the desired content with individual credits. Shutterstock is without a doubt one of the biggest names in the stock photo industry. And there’s a good reason for their favorable reputation. Their massive, royalty-free library includes over 200 million pieces of content. What’s more, the site doesn’t stop short at offering photographs and video clips. Shutterstock customers may also take advantage of infographics, icons, vectors, and illustrations made available through the site. Like Adobe, Shutterstock offers customers two separate purchase options. However, there are a few differences between the two, notably in the way they run their à la carte systems. Instead of offering credits, Shutterstock allows users to select image packages with their initial purchases. As the chart above illustrates, Shutterstock’s à la carte system is more reasonably priced than most of their competitors. What’s more, it’s a more straightforward system that omits digital credits. Nevertheless, Shutterstock’s subscription options offer some even greater savings. With both annual and monthly subscriptions available, customers can calculate just how much they’ll need to use the stock photo library in order to figure out which plan will yield the most. With its massive selection and affordable user fees, it’s hard to criticize Shutterstock. However, it can be a bit overwhelming to sift through such a large collection. What’s more, not all of Shutterstock’s content is created equally – some content is more desirable than other content. Death to Stock is fairly new on the scene, and it offers a lot of promise. Meticulously organized, the site’s content isn’t just unique. More often than not, their selection of images and videos are visually breathtaking. This site doesn’t offer any à la carte options. Instead, monthly and annual subscriptions allow users unlimited downloads. So, if your stock photo needs fluctuate from month to month, Death to Stock may be an incredibly desirable choice. Death to Stock charges some of the least expensive membership fees in the industry. However, customers should be aware that the site’s collection is VERY small at the moment, consisting of only a few thousand pieces of content total. What’s more, the site uploads new media at a snail’s pace, with updated images being posted just once per month. For consumers looking primarily for stock footage, Pond5 is one of the single best options out there. There are nearly 63 million individual files tucked away in their database, some of which is completely free. There are many “run of the mill” stock options available through their service. However, they also have some fairly unique content to offer, including archival vintage film and home videos. Pond5 doesn’t mess around much with pricing, and they prefer to be pretty straightforward with their subscriptions. Users can choose between monthly and annual memberships, both of which offer the same advantages. As mentioned before, Pond5 is an excellent source of footage, music, and sound effects. Unfortunately, it does leave something to be desired when it comes to still photography. If your needs revolve more traditional stock photography, Pond5 may not be the best choice for you. PxBee is a subsidiary of Fotor Photography, an online photo editing suite. Made by photographers for photographers, it’s no surprise that this stock photography site provides a high-quality experience. In fact, we recently compiled a pretty in-depth PxBee report on what the service has to offer. The UI and search experience is slick, information is easy to access. And, most importantly, their subscription policy is simple and easy to understand. PxBee has both monthly and annual subscriptions available. Different subscription plans allow users to download a certain number of photographs per month. On the surface, PxBee has one of the more expensive month-by-month subscription plans. However, PxBee’s price per image is actually quite affordable. At 50 images for $80 USD per month, individual images cost about $1.60 a piece. 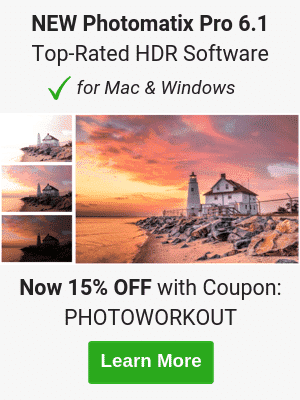 125 images for $100/$0.80 per photograph. iStock is a subsidiary of Getty Images, one of the world’s most esteemed, established global image sources. As the original crowd-sourced stock vendor, the company has been running smoothly for nearly 20 years. As such, they have millions of photographs, in addition to vectors, illustrations, and video clips. And with the Getty name backing them up, all of their content meets premium standards. iStock has a number of different payment options open to potential customers. They employ a similar à la carte package credit program. Credits are then used to purchase images. Each individual credit is worth approximately $11.00 USD, and images and videos generally cost between 3-6 credits each. There are also monthly and annual subscriptions available, which set aside the credit system and offer a set number of images per month. iStock’s plethora of payment options is certainly a double-edged sword. On one hand, consumers can pay according to whatever their specific needs happen to be. On the other hand, it can be difficult to determine which deal is the most cost-efficient for your purposes – and making the wrong choice can prove to be a costly mistake. 123RF is a dependable service that offers customers peace of mind. Backed by a $250,000 legal guarantee, you can feel comfortable using their content for whatever your needs may be without any fear of misuse. With 107 million creative works available on the site and thousands of new additions per day, it’s also one of the most expansive collections out there. The service has à la carte options, offering up credits worth approximately $0.98 USD each. Many photographs are available for about 6 credits, making their service decidedly less expensive on average than much of the competition. In addition, 123RF has monthly and annual subscriptions for frequent users. Per month, their membership may seem as though it’s one of the pricier options out there. However, when the price is divided by the content received, the cost is actually quite reasonable. However, users may want to browse 123RF’s selection before making any longterm commitments. The collection has a varied selection and lacks the coherent “look” that many of the more tightly curated selections have. 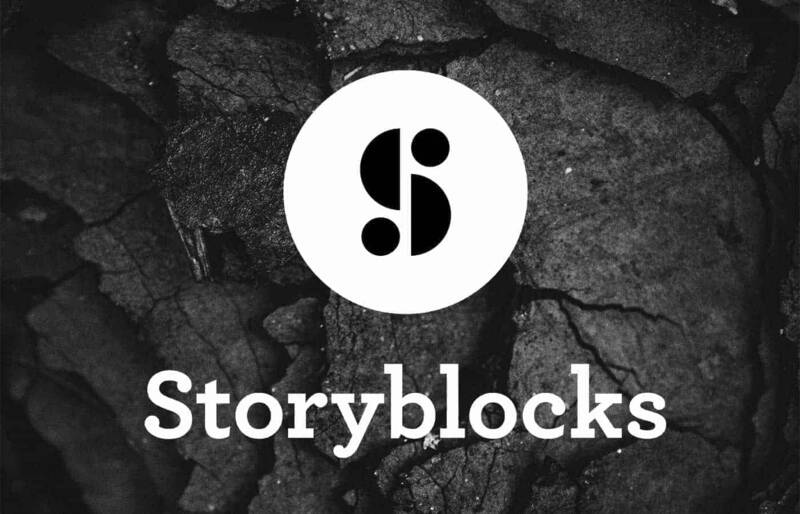 Some time ago, we did an in-depth overview of what Storyblocks has to offer. We found that many users had a mixed experience with the stock site, but for some creatives, it proves to be a perfect fit. One of the platforms best aspects is its inclusion of cutting-edge formats. While many sites may lack niche content in areas such as 360° footage or VR experiences, Storyblocks offers options. Storyblocks pricing options differ from their competitor’s systems. Like many other sites, they have membership options that allow users access to a special member library. Once a customer has signed on, they receive unlimited access to the library. However, not all of Storyblocks’ content is available with a membership fee. Instead, much of the content available through the site can be bought directly from artists at the marketplace. So, if you do decide to sign on, don’t expect to have limitless access to everything the site has to offer. The best things in life are free, and stock photography sites are no exception to the rule. Though they are fewer and further between than their for-profit counterparts, they often offer up content that rivals more expensive options. We’ll go over a few of our favorite, completely free options to provide some perspective. As we’ve mentioned before, one of PhotoWorkout’s favorite image sources is Unsplash. Since its inception, it’s offered very high-quality photography that feels authentic. And, with thousands of posed, artificial stock photos floating around online, something a little bit artsy can really stand out. What’s more, it’s easy to find the images you need thanks to the site’s helpful curated collections. The site’s main drawback is that it can be a bit tricky to navigate. As a free service, the site requires advertisers to stay online. Competitors such as Adobe take full advantage of this by showing off their content on Pexels’ site. If you’re not paying attention, you may accidentally stumble onto a site that will cost you. Last but not least, we’d like to take a minute to mention Burst. This open-source image platform is entirely powered by Shopify. However, everything on the site is free to use for virtually any use. For that reason, Burst users don’t have to stress about unintentionally breaking an image license. The site has a lot of images for users to explore, however, they aren’t the best choice out there for people looking for a large range of images. When it comes to specifics, the site falls short. For instance, the search query “dog” may yield a few hundred results. However, the query “beagle” may not bring about any helpful results. Thanks, we will look into Rawpixel as well. It looks like another great free/premium stock photo site.